I really think the pictures speak for themselves. 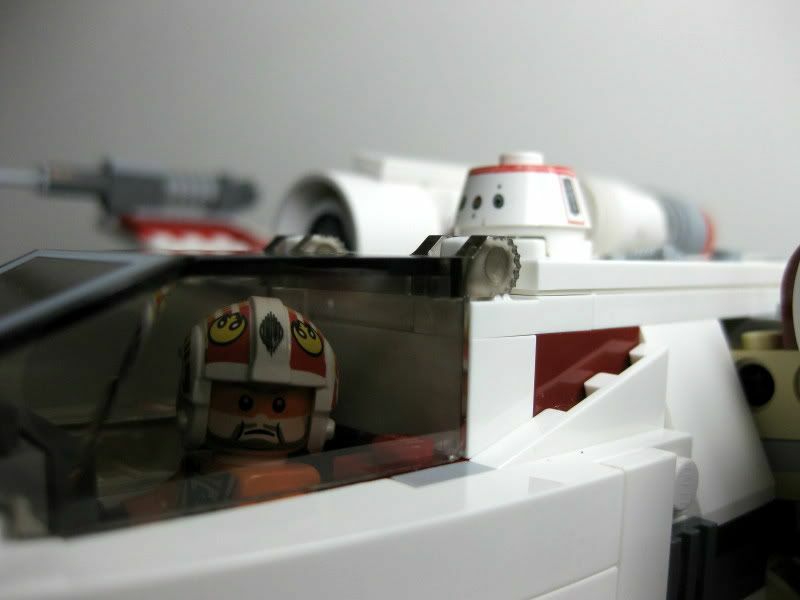 "lock s-foils in attack position". Several years ago, Fans DEMANDED that Hasbro release a porkins action figure, and Hasbro listened! 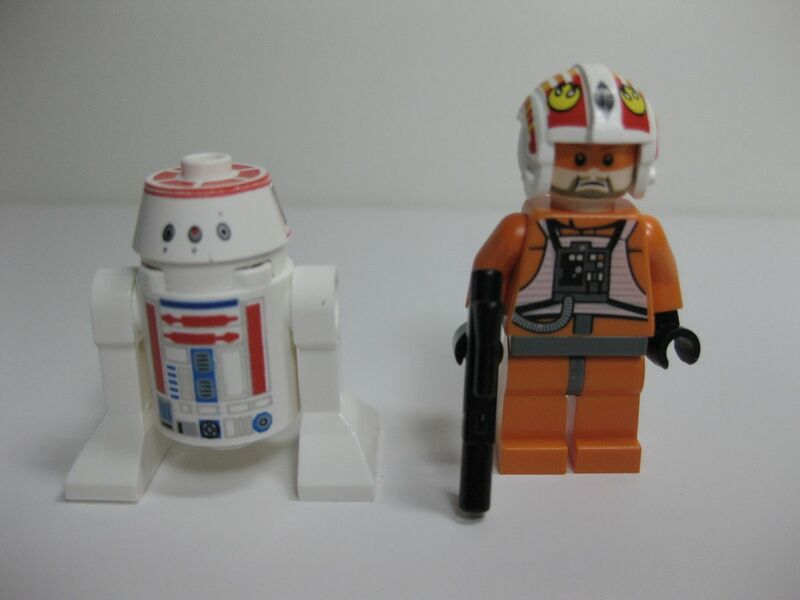 However, any fan worth his salt knows that the real star of this kit is Jek Porkins. I must say that this kit was extremely fun to build! The fuselage contains a lot of creative structural SNOT techniques in several different places on the ship. There is no question, go get one or three of these, you will not be dissapointed! 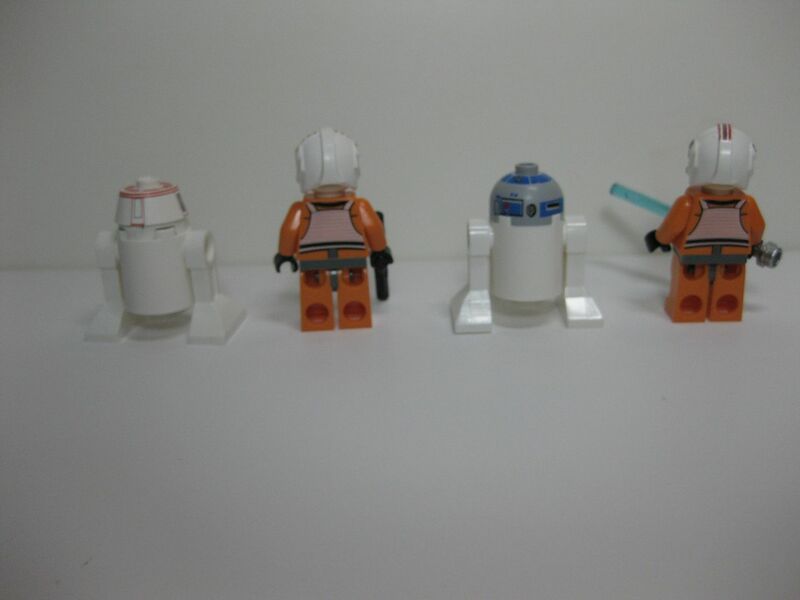 I like the space droids! The red one is totally cool! Nice pictures. I like Jek Porkins. I could remove Luke Skywalker's saber and pretend he is some other X-wing fighter pilot. I am not worrying about too many Lukes. I want this even more now! This is nice! 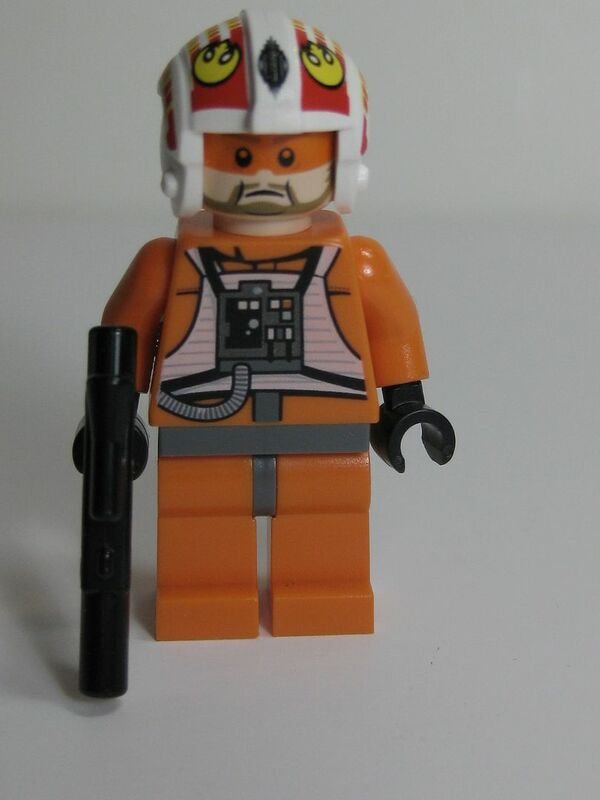 I really wish Rebel pilots had reversible faces, with one with the orange visor and one without. It looks odd when Porkins has it but Luke doesn't. I just picked this set up last night. It is actually a fun build. and i really like the set. Without a doubt worth getting even if you have the previous x-wings. Thanks for the review! I like this set just a little bit less than the new TIE Fighter, but it's still good. Definitely an improvement over the last rendition of this ship. I appreciate the inclusion of Jek Porkins and an R4 unit. I will definitely be picking this up eventually, when I have a little more room in my budget for LEGO. I just finished my copy, and I like the NEW tie fighter better. 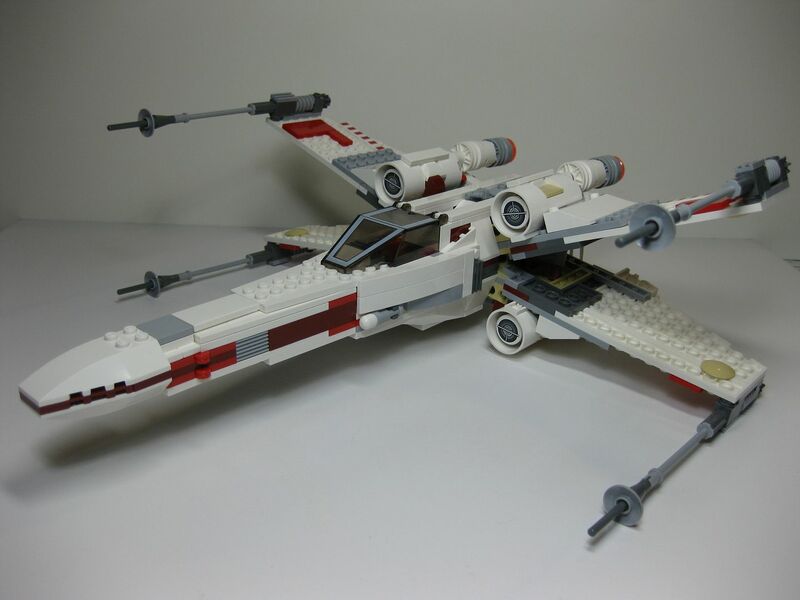 The new X-Wing is light years better than the last version, but I still can't believe it lacks REAR landing gear. It looks awful sitting on those rear engines. If you take the time to design forward landing gear, make some aft....and get that bulk up off the floor. I designed my own x-wing early last year, and built this new store version to compare. It has some great stuff going on, I just wish they had added some landing gear, like I put on my version (below). 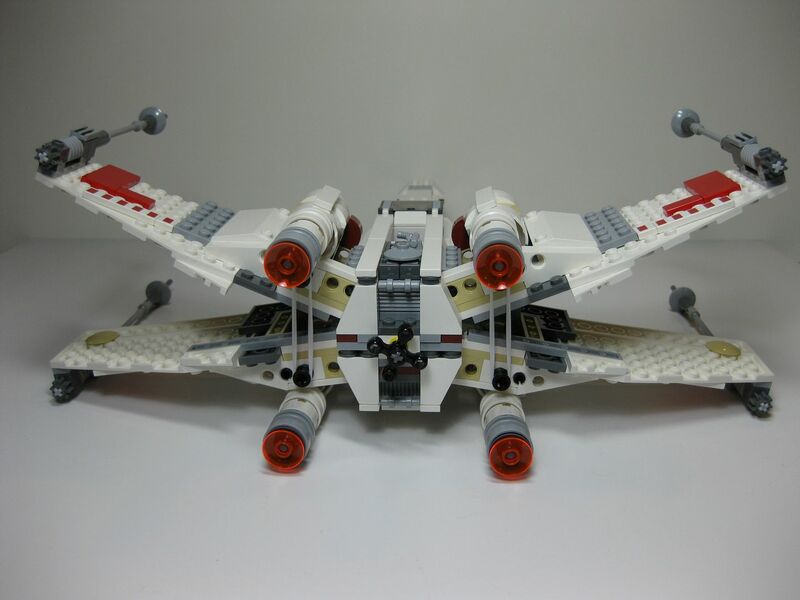 Now I wish Lego would come out with this for an x wing. Great work. Only complaint is I wish they stuck with the color scheme on the technic parts behind the cockpit instead of tan, I think it looks ridiculous. Just to add to this excellant review. I did a few comparison shots with other ships. Jedi Interceptor, Naboo Starfigther, Arc 170, and Millenium Falcon. If you have any questions let me know. what are the main differences between this and the previous ones? I have a 6212 which hasn't been built for a while, but I seem to remember it looking pretty nice, and the wings mechanism looked very similar. 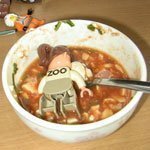 I have never had any of the previous versions, so I don't know, but the instructions are available on www.LEGO.com, so you could probably find out that way. Thanks for looking, and for all the comments everybody! Yeah, I don't see what the big differences are between this X-Wing and the last one. The nose looks the same, there's a little bit of difference among the engines, but this is just another re-hash with worse figure IMO. Don't get me wrong, it is cool to get Jek and the new droid head is one of the best pieces this year, but I'm not going to bother buying this one, even at 50% off. Am I the only one who is surprised by the predominant white? 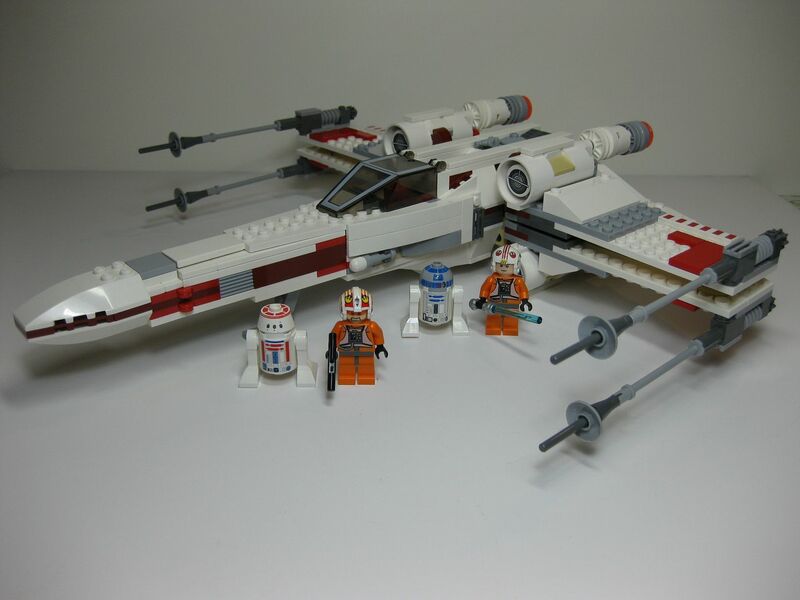 I have the oldest X-wing lego set there is (don't know the set number) and that one was mainly grey. 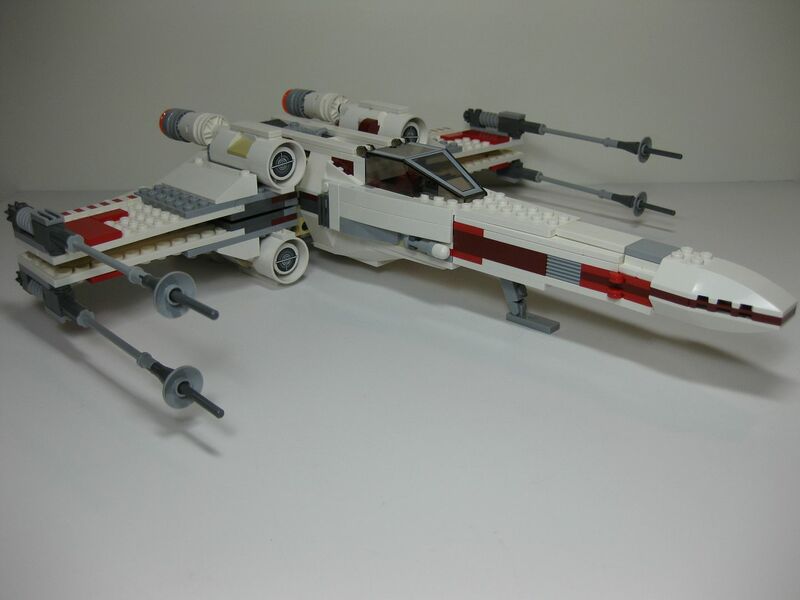 If I look up pictures (mental and google) X-wings are gray... right? It looks good, nevertheless, but I think the other one was also cool. 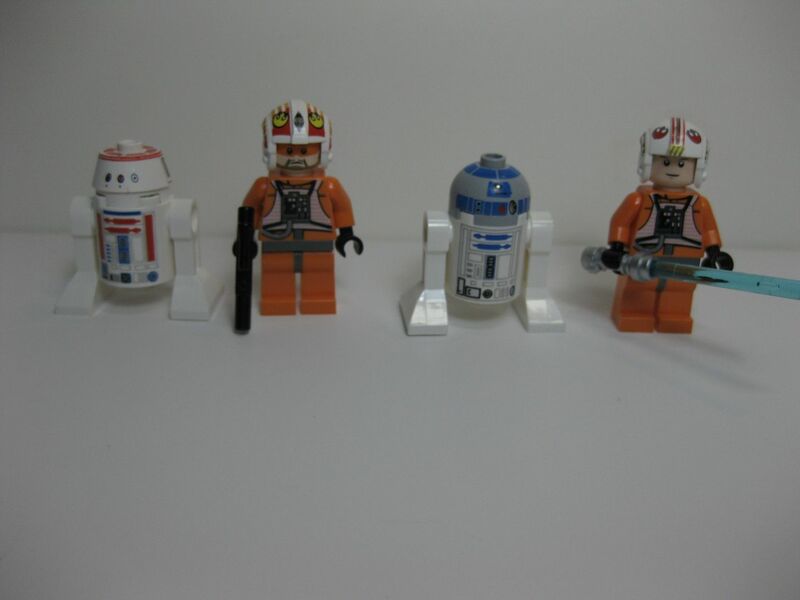 I agree with everyone else here that the new minifig and the new red R2 would be the best improvement here. Nope, the orig. X-wing filming miniature has always been white, but with grey panels and weathered down to where it looks like a grey-ish primer, as well as soot and battle damage.
. The Rebel Alliance only had the equivalent of field repair shops, so paint repairs were not important. Before re-mastering, they always had more of a grey hue on film due to the lighting. 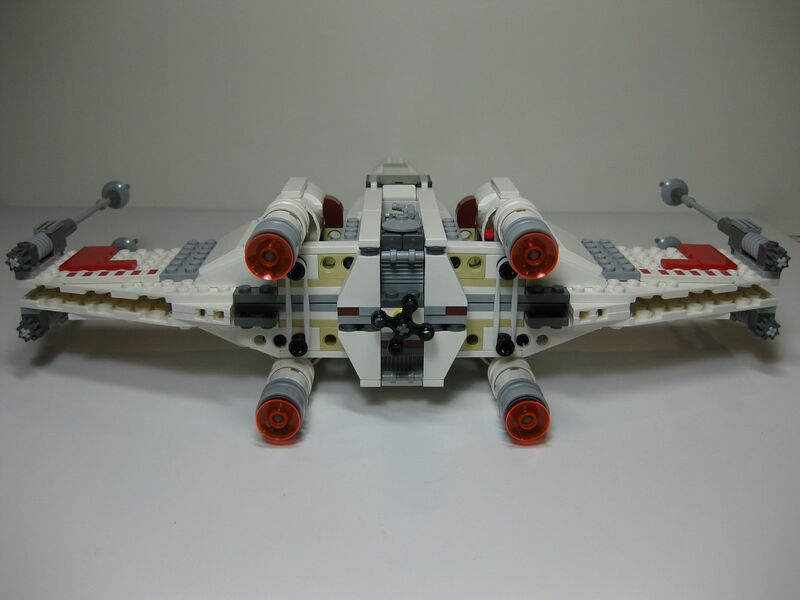 The new X-wing uses several newer elements than the old iterations of LEGO X-wing, including some SNOT elements I have not personally seen before. If one does not have any previous X-wing's that they are nostalgic about, then this makes it the time to get this one, since you can't get the older releases without paying a premium. Is that so? I've heard that the original miniatures are actually much darker than they appear on film, as the predominantly grey coloring looked brighter due to lighting. X-wings painted in a truly 'white' hue will cause too much glare. When I first started working in the movie model biz, in 1984, I was determined to do one thing-- get my hands on original castings from an X-wing. That never happened. But in my search, I did come across the people who had worked at ILM. The models were all based out using Krylon Platinum Gray Primer. This primer was very similar to Testors Camouflage Gray, which was just a tad bit darker and slightly pink. At the time I found this out, the Krylon paint was still available. I looked for it years later and found that despite it having the same name, the color was much darker. I also found out that the technique of gloss white over black primer and then rubbing through the white with steel wood was done as an experiment on a couple of the models. They did use the technique in spots, though, like the nose so they could get that 'almost shiny yet broken down' look. The question of why white was not used as the base color is simple. When subtle aging or weathering is applied, the camera only sees white in the most subtle areas. You can get close to a very large model that has been painted white, but if you set the camera at a distance, all it sees is white. The shadows go away, most of the other colors go away... and this is why the MF was a light gray. This does not mean areas can not be white, just the model as a whole. I have been on shoots where a model was repainted because of the distance to the camera. As modelers today, one thing to keep in mind is that none of the shots we have seen in these films were done with any element being digital or composited digitally. It was all chemistry and light. If you have a gray model and shoot it one or two f-stops overexposed, that gray model will look white. If a gray model is composite-printed onto a second piece of film, it will look brighter, not as gray. When that is projected onto a screen, our eye sees the gray as white. Ever shot a gray model with a flash and have it look white? With the subtle nature of professional film and the knowledge and experience FX guys have, all kinds of whacky things have to be done to get the things to look right on film. When I was working on King Kong Lives (yeah, I know...) we had to paint the 1:6 scale operating theater 2-stops gray so when they exposed for the guy in the monkey suit, the operating theater would look white! If the room was left white, the guy in the suit would just look like a black, monkey shaped thing or a great looking monkey suit in a REALLY bright room, depending on which way the exposure was leaned. I believe this model was built for Jedi, but it was never seen on screen. And there definitely exist inconsistencies between this and most of the original miniatures - the point at which the halves of the fuselage split was farther back on the latter, for example, and the bottom edges of the intakes were flush with the wings. 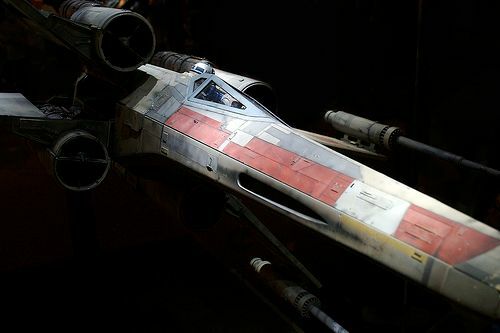 I don't claim to be an "expert", but a few years back I interviewed with Grant McCune at his model shop here in Los Angeles, and he had an X-wing (one used in Star Wars) in a plexiglass case in his shop. It was a base of white, with the other colors on top. I would not say it was anything close to glossy , or bright...but it was white. And my eyes were popping out of my head to be that close to the real thing. 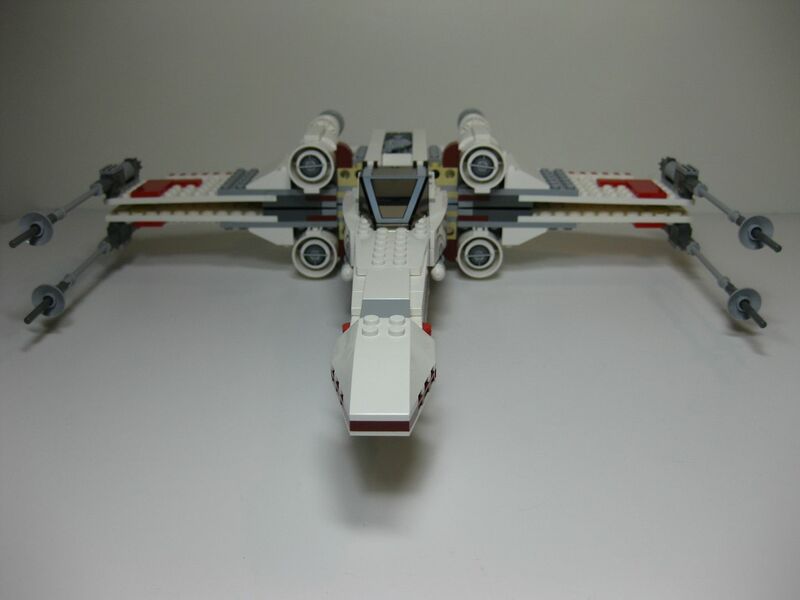 Although the new X-Wing looks great (My favorite version so far), I'm a little disappointed about the rubber bands (it puts a strain on the back part of the wings) and I hate the weight strain on the lower 2 engines. I'm in the process of trying to distribute the weight by putting two rubber bands in the back wings, and the other two in the front. Any suggestions on some rear/front landing gear? (Without changing the initial design?) 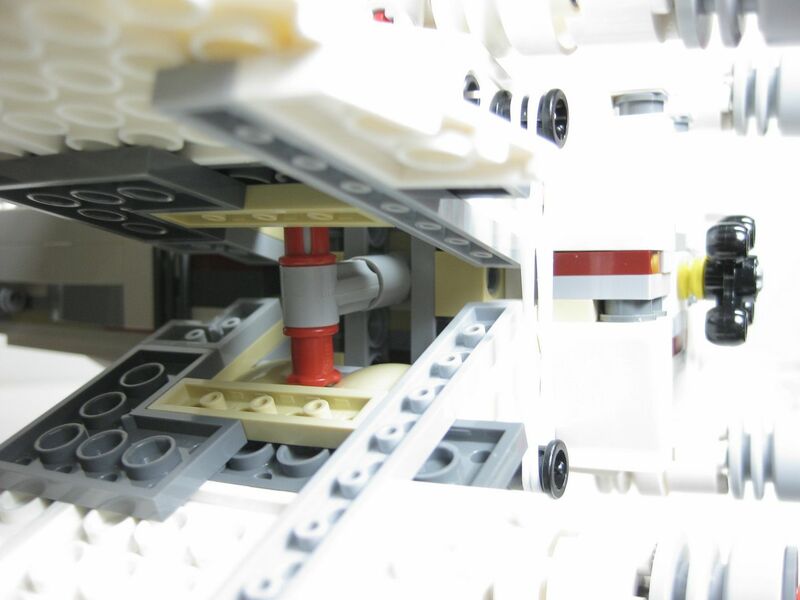 I've added two more layers of LEGO bricks to the front landing gear, and added four layers to the back/middle part of the X-wing to take the weight off the engines. X-wings have always looked more white than grey to me. I really don't see what the big deal is. Make it grey, make it white. ect. ect. It doesn't matter, any paint, white or grey alone would look wrong, that is why it is weathered on the filming models, to look like it would in harsh operating conditions in atmospheres and in space, not to mention heat stress from entering atmospheres and combat. I picked this up today. 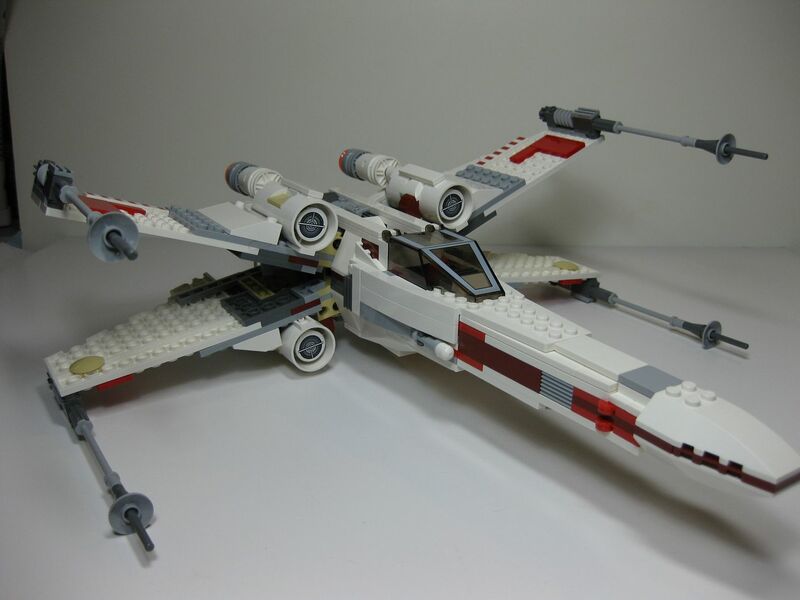 I had the last X-wing from 2006, and the build of this one is a lot more elegant overall. The body is lighter and tighter. 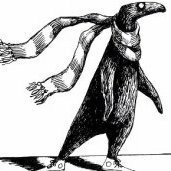 The wings as well are better, with the underwings being inversions of the upper wings, as a result, they are smoother and SNOTtier. Both aesthetically and build-wise, it's a big improvement on a design I was personally quite satisfied with. The main criticism I have is that the wing opening mechanism is a lot less smooth. As a build, it's simpler and I liked it as I made it, but in action, it's a little jarring. As a minor second one, the ship ID is done in stickers, which is fine for one piece, but a real challenge to align two adjacent pieces together. All the same, I'm considering picking up a second in order to show two off at the same time. Big from me. How do you mean that the wing opening mechanism is jarring when you operate it? It should snap open or shut smoothly with just one turn of the wheel at the back.